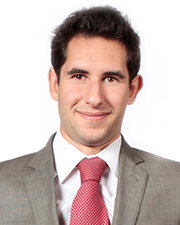 New York, NY According to Ripco Real Estate, Josh Siegelman, a Commercial Observer “30 Under 30” alumni and top retail broker has joined the firm. Siegelman, previously an executive vice president and partner at Winick Realty Group, specializes in both landlord and tenant representation including leasing of ground-up developments, hotel restaurants and retail, as well as offering advisory services. “Ripco continues to grow at lightning speed and is always looking at top-talent. When we met with Josh, we knew we had to have him. Between the combination of his industry experience and work ethic, he immediately stood out and we felt that he would thrive in our collaborative environment,” said Mark Kaplan, chief operating officer at RIPCO. Siegelman has worked with many of New York City’s top companies including ELK Investors, The Kalimian Group, The Brodsky Organization, Jakobson Properties, Ascot Properties, Jonis Realty, Direct Property Management, as well as some of the city’s most popular retailers including Birkenstock (he handled the company’s NYC flagship at 120 Spring Street); BLICK Art Materials and restaurants including the Meatball Shop, Otto’s Tacos, Chipotle and Luke’s Lobster. Additionally, the Commercial Observer invited him to share his retail leasing expertise in an editorial column called “Food for Thought” and real estate trade outlets including Real Estate Weekly, the Mann Report, NY Real Estate Journal and Northeast Real Estate Business have had him as a columnist several times.